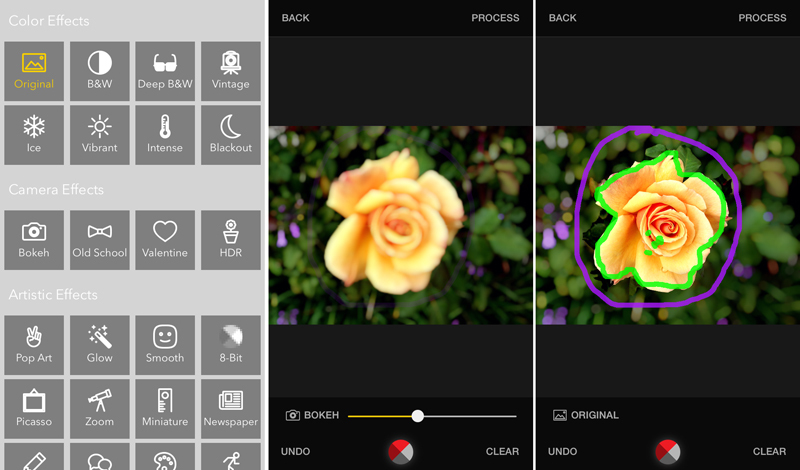 Exposure, one of the more recent special effects photo apps to arrive on the iOS platform, seeks to step away from the technique of merely applying filters in favor of custom editing discrete parts of your photos. This encourages more originality by letting users to pick and choose which filters they want to use and where to place them in order to best emphasize critical parts of a scene. 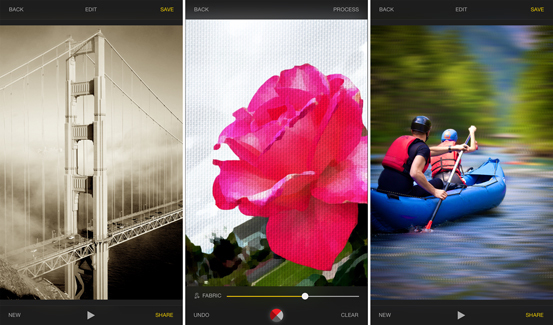 With Exposure, you edit photos with a tap or tap and drag, without having to use your finger as a paintbrush. With today’s release of version 1.5, the developer introduces new elements, the most important of which is a slider-based intensity control that now lets you adjust how much of each effect you want to use. There are also new effects such as Old School, Valentine and HDR and new texture effects such as Fur, Film, Letterpress, Paper, Concrete, Puzzle, Old Map, Tree, Fabric, Clouds, Rust and Leaf. All effects can be applied in their entirety, of course, but the purpose of Exposure is to help you put more variety into the picture. 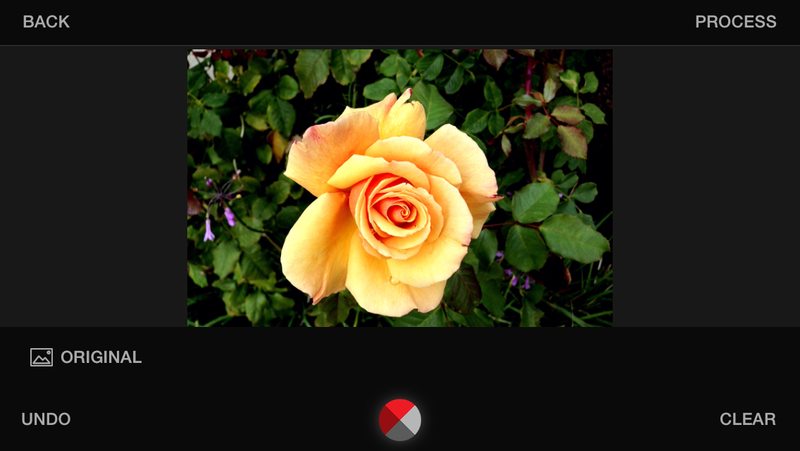 You can use the app in horizontal or vertical orientation, and zoom in to see parts of your image more clearly. For fine edits, you can use a stylus to gain precision, but it’s not necessary. The interface is clean, giving you a full view of your image, with just the Exposure button at the bottom of the window and simple navigation at the top and bottom. Tapping that button brings up a full-screen grid of color, artistic, camera and texture effects that you can choose and apply to the image. Use your fingertip to draw demarcation lines on the screen of where the effects should go and then use the slider to dial in how strong they will look. Those lines are saved as references in the app for when you make a return trip to the effects palette to tweak your image. The interface is simple, but you need to get the hang of how the app responds to commands to get the results you’re looking for. Sometimes as you place a line on a photo, it’s hard to predict how the effect will be applied — though usually, it encompasses the entire photo. The trick is to judiciously use the Original button to anchor the edits, and that allows you to layer multiple effects onto the same photo. That, coupled with unlimited undos, lets you experiment until you get the picture looking the way you want it. 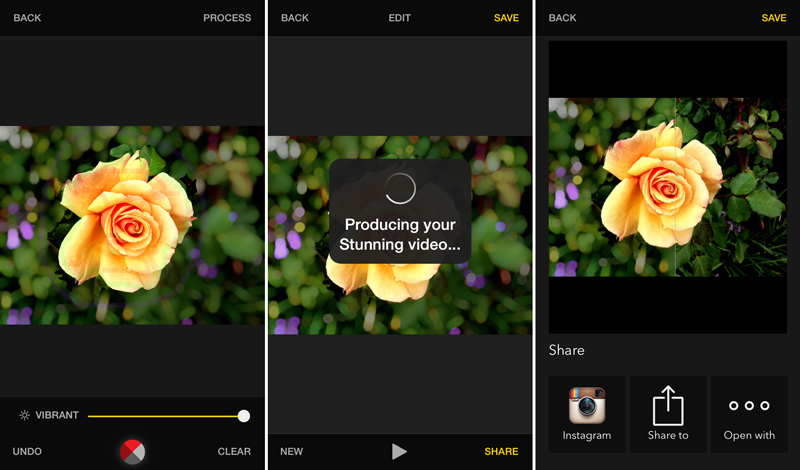 After processing, the app lets you create a cool animated video that shows the transformation of your image. All of this tends to get a little cramped on the iPhone 5, but with the new larger iPhone 6 or 6 Plus or with an iPad, working with the app is a lot more fun. While compatible with iOS 7 or later, iOS 8 users get the advantage of better app integration for pulling an Exposure edit into another app or for directly sharing the photo via Instagram or other photo or chat apps. The app, which is universal for the iPhone and iPad is available for $2.99.